Children’s Sunday school meets each Sunday morning at 9:45 a.m. In Sunday school, kids learn Bible truths by hearing a Bible story and participating in FUN games and activities. Each classroom has two wonderful teachers who are ready to teach and have fun every week! Sunday Night is when our children meet for Music and Missions from 4:45 - 7:00 p.m. We will meet for supper in the Forbus Center to start our night. At 5:30 we will have choir practice. At 6:00 we will shift our focus to Missions, working on weekly mission projects, teaching our kids to be the #handsandfeet. Childcare is available for children 2 and under. Wednesday Night is when our children meet for Bible Study. This year we will be working through Team Kid: Going Vertical. We meet upstairs in room 206 to kick off with Missions before branching off into smaller study groups. Childcare is available for children 2 and under. Hoops Basketball will start in January. We will be having evaluations December 4 and 6 from 5:30 to 7:30 in the gym (Forbus Center)!! Games will be every Saturday morning beginning mid-January!! Any child participating in an event at FBC, either on campus or off, needs to have a completed, up-to-date Information and Release Form on file with the Children’s Ministry Department. These forms are available in the church office, in the welcome center, or by clicking to download one here. 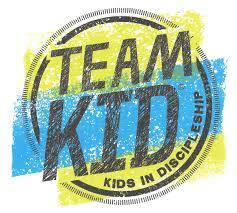 Subscribe here for updates on Main Street Kids ministries and activities.